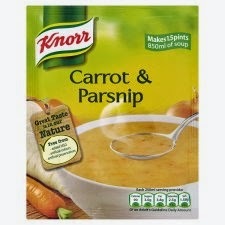 Someone else's delicious looking parsnip and carrot soup. 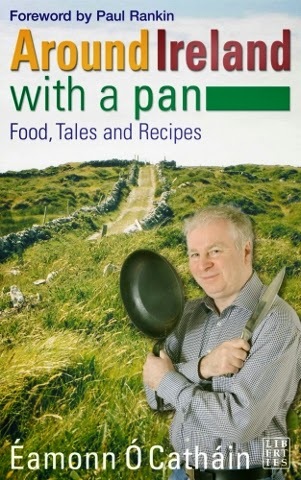 Around Ireland with a Pan – Food, Tales and Recipes. Éamonn O’Catháin. Liberties Press, Dublin, 2004. There are short separate sections in the book dealing with specific establishments in each of the 32 counties of Ireland. The book is designed in particular for the seasoned traveller. Éamonn O’Catháin is well-known, first as a restaurateur and latterly as a lecturer and broadcaster. He is known for his wide knowledge of the arcane art of haute cuisine as well as the ordinary grub that most of us live on. He can be heard and seen any Wednesday evening at 8.0pm on TV 4 i nGaeilge agus i mBéarla, a programme called BIA’s Bóthar. He is an inveterate traveller, both in Ireland and Europe. He is obviously a gourmet and bon viveur, and is clearly qualified to write a travel book informing us of some of the most interesting and celebrated restaurants, bistros and coffee shops in our country. The short text on each county includes useful and amusing comments which are helpful to the traveller who takes his or her comfort, food and drink seriously, and he talks with chefs and owners, so that you can advise the waiter at the end of your repast ‘My compliments to Michel, the chef ’or tell the owner what you think of the establishment. Numerous recipes are scattered throughout the text which should be easy to follow, even for the most reluctant neophyte. If you travel the outer suburbs of your town or city, or if you travel the four corners of Ireland, you should carry this handy and elegantly produced paperback in the glove compartment of your car or in your bum or saddle bag. But bring a map too as some of these restaurants may be sited in quite remote places away from the more crowded habitations of the less sophisticated and impecunious grubber. 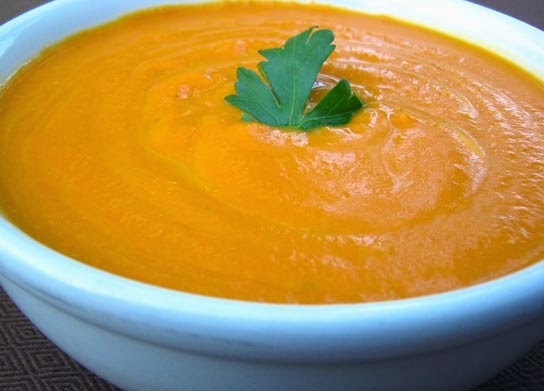 If you are a stay-at-home type and if you have access to the kitchen you will still find the recipes worth following. If you follow his recipe instructions regularly you might some day find yourself included in a later edition of his book.